Nowadays, numerous hacker attacks and theft of confidential information of users are forcing many people to reconsider their attitude to Internet security. VPN (Virtual Private Network) – is a technology that provides a high level of safety while using the Internet. Thus, you can protect your device against tampering and safely use public networks Wi-Fi, which are often the source through which malicious programs fall into the operating system of the mobile device. Thanks to the use of the VPN, you can change your real IP address on the other, in order to get access to the unavailable sites in your country or region. 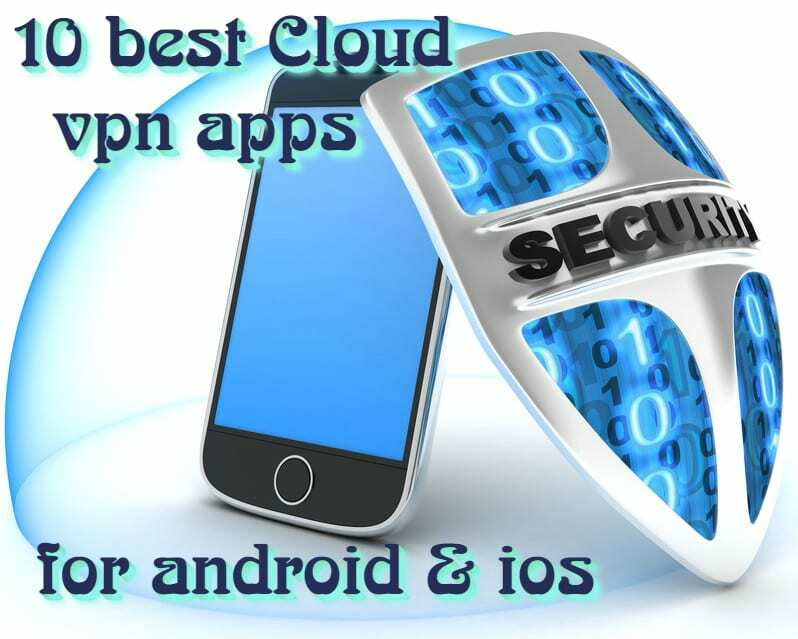 Below you will find a selection of the most successful VPN tools that can be downloaded from Google Play. In addition, we have also added links to download them from App Store. Anyone who has had to deal with censorship on the Internet knows how it is unpleasant. Fortunately, to circumvent this block is quite simple with the appropriate software. The present application is running as a proxy server, allowing the access to restricted sites in your country (YouTube, Facebook, Google, Twitter, Netflix, etc. ), hides your IP-address and can be used with Wi-Fi connection, as well as for 3G. The application does not require registration and does not contain internal restrictions. Intuitive interface is very easy to use. 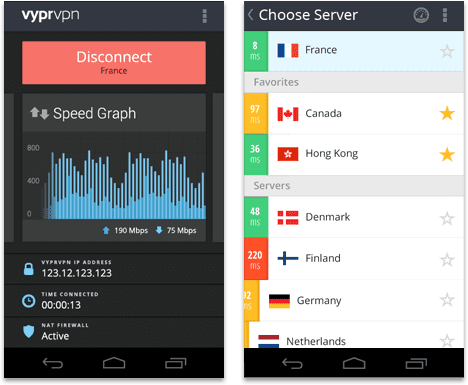 VPN for Android is a handy application that will help to protect data while you work in the network via the android device. With this application fast encryption of your Internet connection is provided . 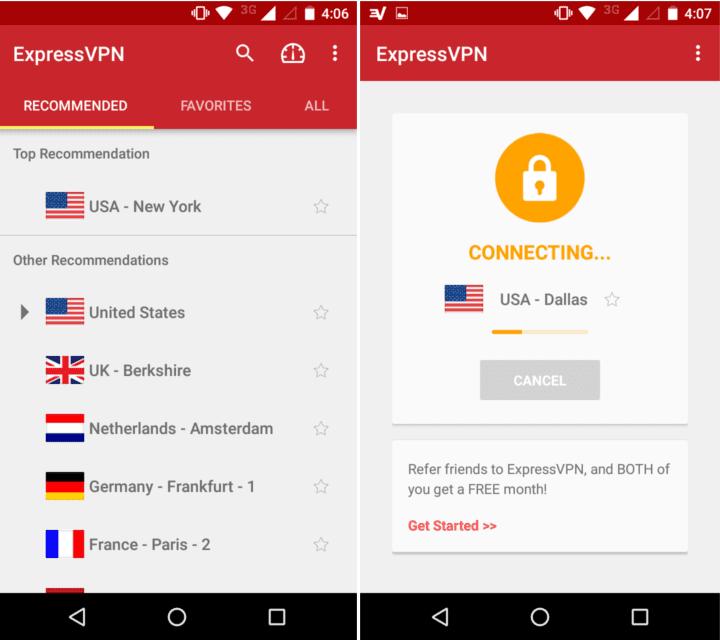 ExpressVPN allows you to change the IP-address and its location that will be reflected in more than 78 countries. This software will bypass blocking of many information resources, where there is a strict ban on the country. In all relationship, this is a comfortable VPN-client with a lot of servers around the world. 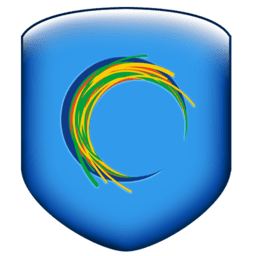 This app can protect your privacy on social networks, get access to blocked sites in your area and resources, and improve the speed of information transmission by connecting to the most optimal server. This is a mobile version of the famous VPN-client, who had previously received a modification for computer operating systems. The mobile version has retained all the features of the program. Problems to be solved by the application, and the like-the VPN clients are highly relevant. So, there are three main features that will be available with the program: changing of IP-addresses, encryption of connection, as well as the lifting of restrictions on visits to resources. 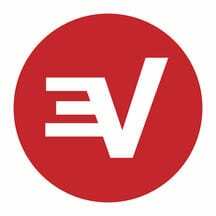 This is a well-known VPN client application that gives you an opportunity to make a virtual private network between the Android device and the selected server in order to protect your data and to get an access to the blocked sites. The application creates an encrypted channel for the “last mile”, i.e. from the nearest point of the access in the Internet to the user’s device. With this setup, for example, to the unknown WiFi network, no one can get an access to your active from the device . The application does not require registration, it has its own widget, and shows good speed performance of the access to the encryption servers. Servers are located in the US. However, in the main, this program is used to crawl websites and blocking access to any content, anywhere in the world. It is a handy app for mobile devices based on the OS Android, which ensures the safety and anonymity of Web sites view, having any territorial limitations, and provides the access to the blocked services on the Internet. To use the program is very easy – just select the location of the VPN-server through which the virtual tunnel is established, then your real location will be securely hidden. Moreover, all the data is automatically encrypted, allowing you to keep your personal information safe. 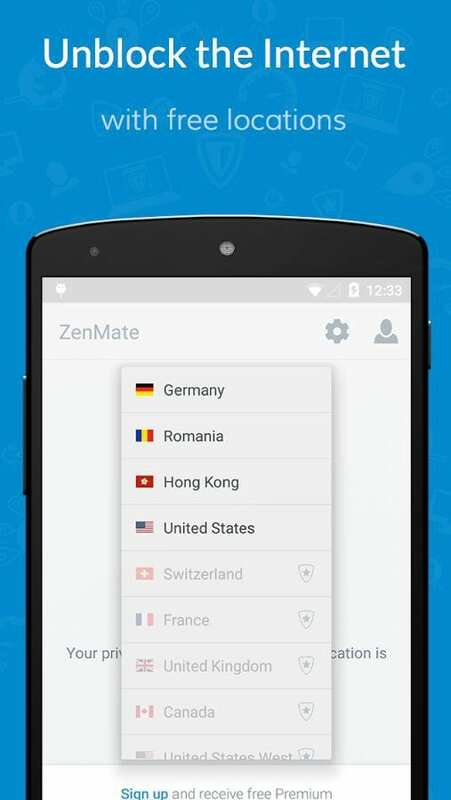 It offers the secure VPN-servers in the Czech Republic, Holland, Great Britain, Sweden, the USA, Singapore and Japan. 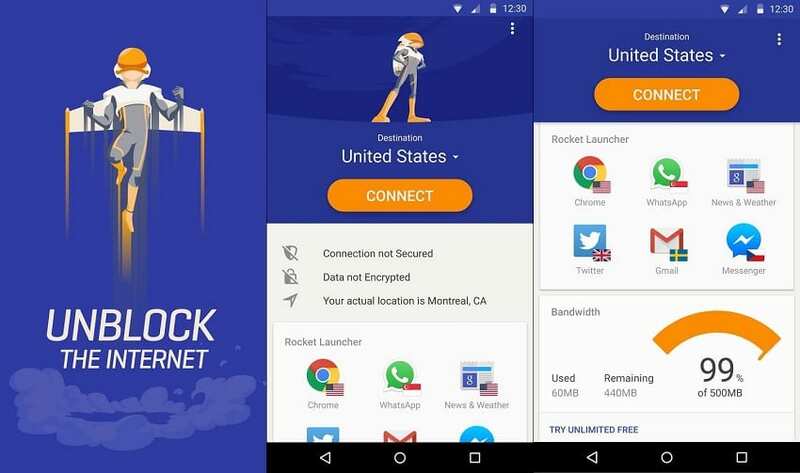 Thanks to Rocket VPN, you cannot worry about the fact that someone is watching your online activity. You can securely connect to public Wi-Fi-points and be quiet for the safety of personal data. It is a perfect solution for protecting your privacy on the Internet and ensure the safe of using of the Internet resources. 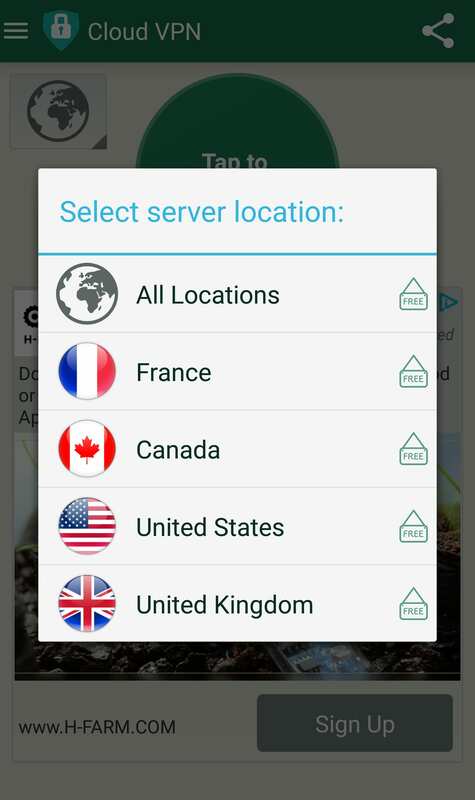 This application is a powerful VPN-client that can hide your real IP-address and redirect the encrypted traffic by the server over the globe: Australia, Belgium, France, Germany, Hong Kong, Denmark, Spain, Italy, Canada, the Netherlands, Norway, Poland, Singapore, the USA, France, Sweden, Japan and others. Thus, the application will be able to protect you from the tracking modules and hacker attacks, to protect against data theft using a public unsecured Wi-Fi-networks, to give access to the forbidden in your area sites and resources, to detect viruses and other unwanted software in real time. There are no restrictions on the amount of traffic and there is no bandwidth – feel complete digital freedom. The application has an excellent intuitive interface with easy access to each module of the application on the basis of 1-Click, i.e., to run all the necessary protection levels only in one touch on the screen of your device. In general, F-Secure Freedome is one of the best applications for digital anonymity and security that can easily provide protection for your device by virtualization location. 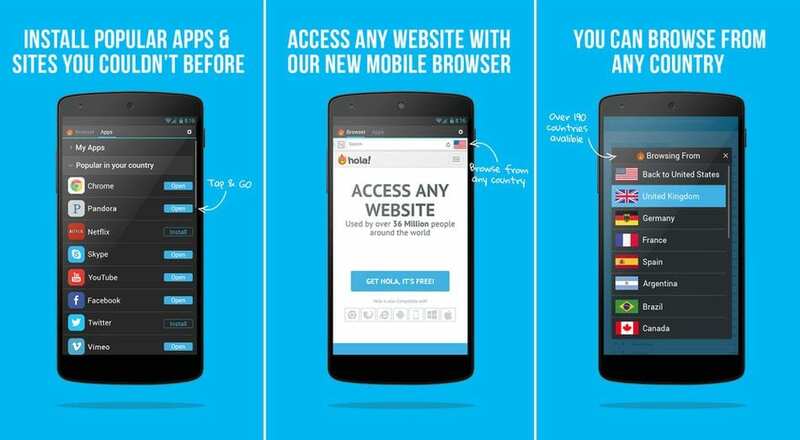 Hola is a browser extension that allows you to use a free VPN service. Expansion Hola provides an access to sites with multimedia content (video and audio), as well as to those sites for which the access has been limited at the regional or national level, for whatever reasons. The principle of service is to make available not only websites and media services, but at the same time to speed up the loading of pages and content. In the process of using Hola traffic is encrypted, caching is used. Data is cached on other users’ computers in order to speed up the connection and the transmission of data over a network. 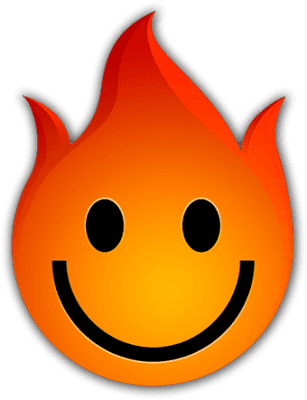 Therefore, when using this technique, the more users in your area will work with Hola, the faster the internet connection will be carried out on your computer. Currently, Hola application is used by more than 45 million people worldwide. This application on android is a virtual private network that provides you with anonymity and security while surfing the Internet, it uses a secure, encrypted channel. With this application websites banned in your country will become available, indicating your place position as a resident of another state. 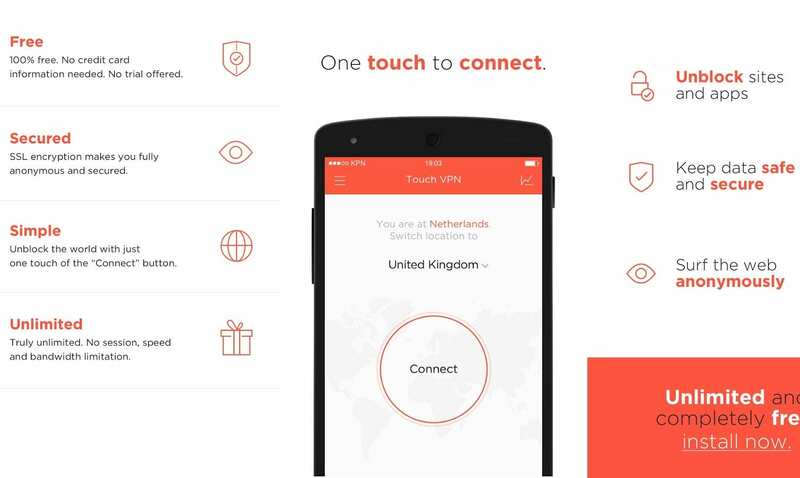 Browse websites for free, safely and anonymously via Touch VPN – free unlimited the VPN-service. 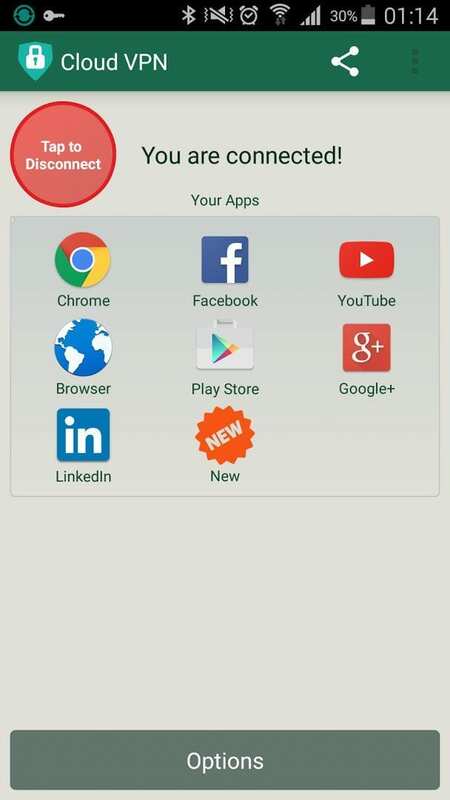 Do you want not view several websites or applications? Are you concerned about your safety while connecting to unprotected access point WiFi? 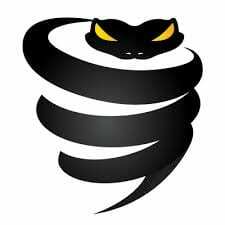 Secure your anonymity and defend the information on your device from hackers and tracking with this application. The program is safe VPN-proxy service, it will solve most of your problems! Free: 100% free. You do not need to enter credit card details.Not available for temporary use. Unlimited: valid without restriction. There no restrictions of sessions, speed or bandwidth. Simplicity: unlock (connect) all the sites of the world with only one touch “Connect” button. Security: persistent SSL-encryption will ensure you complete anonymity (confidentiality) and safety. Using the Internet is easy and pleasant with a good Wifi signal speed. How to get it? 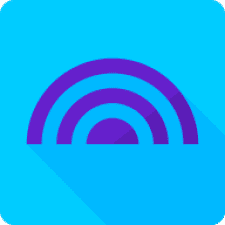 Read the article 10 Best WiFi booster apps for Android.